Sun City Las Vegas - Backyard has covered patio, fountain and mountain views. MLS#2085439. Simply Vegas. Napa Hills - Upgraded features include newly installed laminate flooring and overall fresh interior paint. MLS#2083366. Opendoor Brokerage LLC. Valenca Summerlin - Beautiful 2 Story Hm In Desirable Sw Las Vegas W/ Community Park In The Subdivision* 4 Bedrooms, 2.5 Baths*formal Entry Way W/ Vaulted Ceilings & Pot Shelves* Separate Living & Fam Room*open Kitchen W Ample Cabinet & Granite Counter Space, Island, & Pantry*tile Flooring Throughout Down Stairs*new Carpet & Paint Upstairs*nice Backyard W/ Fruit Trees*all Appliances Included*nearby Shopping, Schools And Freeway*ready To Move In*a Must See! ! MLS#2084399. ERA Brokers Consolidated. Summerlin Village - Features include an oversized contemporary kitchen, master wing, 2 main floor guest suites, formal/casual living spaces, game room w/bar, 15-seat theater, 2 offices, craft room, wine room, piano room, elevator & gym. MLS#2084855. BHHS Nevada Properties. 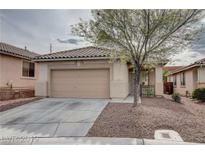 Summerlin Village - Huge backyard equipped with BBQ area and firepit! MLS#2084831. Engel & Volkers Las Vegas. Summerlin Village - Intimate Private Backyard W/Wrap Around Pool W/Waterfall, Spa, Sundeck, B/I Bbq, Covered Patio, Lush Landscape, 3 Gar, Cul De Sac Lot MLS#2084697. Simply Vegas. Star Canyon Summerlin - Short Sale Located In Guard Gated Bellacere Near Summerlin, Beautiful Kitchen With Huge Island & Walk In Pantry, Spacious Bedrooms With Walk In Closets And Bathrooms In Each, Large Backyard With Pool And Spa MLS#2084897. eXp Realty. Summerlin Village - This 4 bed, 4.5 bath stunning home is currently under construction and there is still time to personalize the interior and make it your own! MLS#2083427. Xpand Realty & Property Manage. Crown & case molding, track lighting, shutters & large covered patio. MLS#2084932. Luxury Homes of Las Vegas. Taos Estates - tHIS PROPERTY IS A MUST SEE HOME. MLS#2084874. United Realty Group. Belvedere - New paint, carpet, water heater, etc MLS#2084750. Brady Realty Group, LLC. 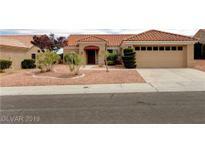 Covered patio, fully fenced yard with desert plants MLS#2084730. Home Realty Center. Garden Glen At Summerlin - Buyer and agent to verify all schools, measurements, and information. MLS#2084338. Prominent Realty Group LLC. Sun City Summerlin - Newly epoxied garage floor. New landscaping. Fully enclosed backyard. MLS#2084865. Elite Realty. Visions Summerlin - Plus, Covered patio, grass backyard, newer a/c unit, and tinted front windows. Decorator colors thru out. MLS#2084998. SMG Realty. Vista Del Oro - Was long time home for elderly that needed a 1 story. See this! MLS#2084952. Real Estate Consultants of Nv. Salinas Summerlin - All appliances stay, Refrigerator and washer are new! MLS#2082269. Signature Real Estate Group. Sun City Summerlin - 60 clubs-sewing,quilting, stained glass & wood working, photo, computer labs, dance, +++. Must see MLS#2084752. Signature Real Estate Group. Red Rock Country Club - This beautiful 3 Bedroom home is located on 1/3 acre offering serene mountain views and includes a vaulted ceiling entry to a formal living room with fireplace, a den, formal dining room, kitchen with island and granite counters opening to family room.This home also includes wood shutters, a large master bedroom with fireplace & balcony offering views of the beautiful backyard with a large pool and spa w/waterfall, fire pit & putting green. MLS#2083176. Realty ONE Group, Inc.
Los Lomas At Paseos - Pool-spa, SMART HOME music and security system. Too many upgrades list. MLS#2084305. Keller Williams VIP. Summerlin Village - Dual triple sliders open back of house to yard w/brand new pool! MLS#2084200. BHHS Nevada Properties. Summerlin Village - No expense was spared in the lush landscaped & private back yard. MLS#2083980. eXp Realty. Summerlin Village - Master bath dual vanities,make-up table, jetted tub and walk-in shower. Huge loft MLS#2085595. GK Properties. Cypress Pointe - Totally Renovated Pulte Home**Superior Condition**1Story/4BDRMS/2.5BA/OverSized 2CarGar/Pool/Builder Option Patio Cover**Two Tone Paints**12x24 Tile Traffic Areas**Sculpted Carpet**Multiple Stone Tops Throughout**New Appliances/Light /Plumbing Fixtures**New Shaker Cabs**Six Seat Island**M/B “WET ROOM TUB/SHOWER”**Dual Vanity/Make-Up**Oversized Master W/I Closet**EZ Desert Landscape**Shopping/Schools/Medical/Free Way Access**Entire Home Remodeled MLS#2084421. Realty ONE Group, Inc.
Echo Ridge At The Ridges - Backyard With Covered Patio And Desert Landscaping Perfect For Outdoor Entertaining And Relaxing. Amazing Home! ! MLS#2084042. Vegas One Realty.